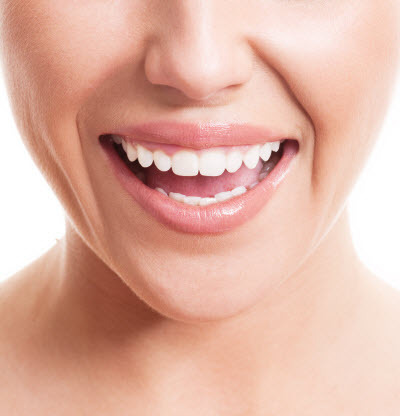 Cosmetic Dentistry is a term used by oral healthcare professionals which involves the restoration of your otherwise healthy teeth for a more natural appearance. Whether your teeth are; stained, discolored, worn, misaligned, have gaps or are broken, cosmetic dentistry can allow for a complete makeover of your smile, thanks to a comprehensive oral health care plan from our dentist. The Dental Office At River House can provide patients with as much information as possible about how to create that smile they’ve always wanted. Below are some of our most popular cosmetic dentistry procedures to choose from. Whitening is often referred to as one of the least expensive cosmetic dentistry enhancements on the market. If your teeth are suffering from any stains or discoloration, consider our take-home bleaching service for an all-new, bright smile. Dental veneers or dental crowns can both be used to correct teeth that have been chipped, broken, or damaged by grinding. Veneers are usually placed on the frontmost visible teeth that need subtle changes in shape and color. A crown can replace the entire surface (above gum-line) of a tooth and repair more serious defects. Both veneers and crowns are typically made from either zirconia or porcelain-fused-metal (PFM). As they continue to grow in popularity, dental implants serve to replace one or more teeth, thanks to a streamlined process. The dental implant consists of three key components: a titanium rod which replaces the root, an abutment which connects the rod to the crown and a new PFM crown. Dental implants can last many years if cared for properly. Inlays and onlays or fillings made from amalgam, composite resin, gold or porcelain can be used to restore your tooth’s natural construction and cover many imperfections. Inlays and onlays may require two or more office visits depending on how many you need. Remember, inlays and onlays are mainly used to enhance the aesthetics of your smile and are not an alternative to crowns. The Dental Office at River House puts patients first, and we understand there are many ways to reach your cosmetic dentistry goals. We can help you decide which treatment or combination of treatments will best suit your oral health needs and your aesthetic vision. Contact us today to schedule your appointment!